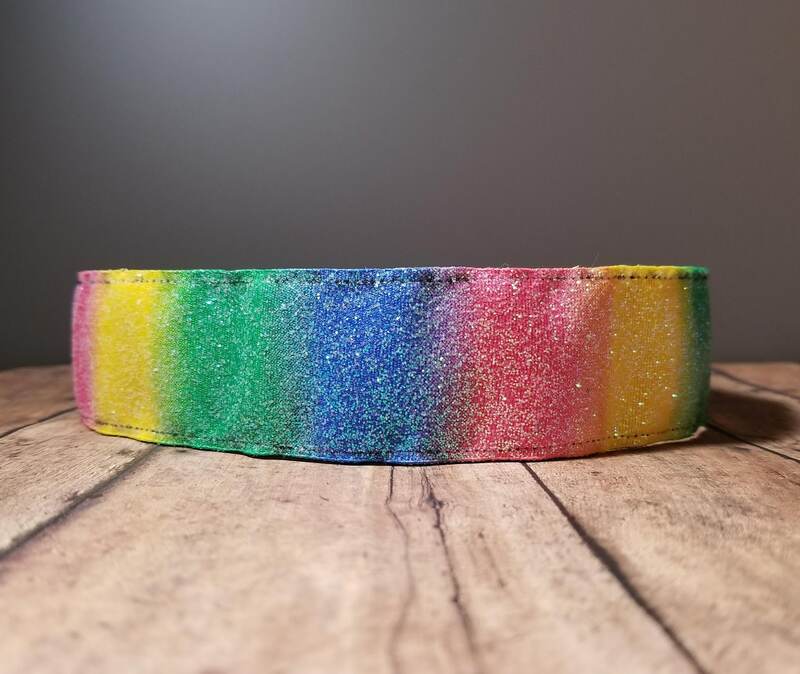 1.5 inch wide spring colored glitter headband. If you have a smaller head or find that you like it a different size for yourself, you may want to try the adjustable! This has a tri-glide slider (like a bra strap) and is completely customizable to the size of your head from 19-22 inches. Once adjusted to the size you like bigger or smaller, it will not slip or slide.